Japan's space agency will attempt to land a robotic unmanned landing craft on the surface of an asteroid 300 million-kilometers (186.4 million-miles) away from Earth next month. The Hayabusa-2 spacecraft is currently orbiting around the diamond-shaped asteroid Ryugu, which it reached in June after a three-and-a-half year journey. On September 21, the spacecraft will deploy the first of two landers onto the asteroid itself, where they will gather samples and conduct experiments. A second lander will be launched on October 3. Later in the mission, the spacecraft itself will land on the asteroid after blowing a small crater in it using explosives, so samples can be gathered from below the object's surface which have not been exposed to space. According to the Japan Aerospace Exploration Agency (JAXA), if successful, this will be the "world's first sample return mission to a C-type asteroid." Japanese scientists are currently racing NASA for that historic achievement, with the US agency's own sample retrieval mission due to arrive back on Earth in 2023. Hayabusa-2 is due to return in 2020. Beneath their desolate surface, asteroids are believed to contain a rich treasure-trove of information about the formation of the solar system billions of years ago. "By exploring a C-type asteroid, which is rich in water and organic materials, we will clarify interactions between the building blocks of Earth and the evolution of its oceans and life, thereby developing solar system science," JAXA said. C-type asteroids, which are largely composed of carbon, are the most common variety of asteroids, comprising more than 75% of those currently discovered. 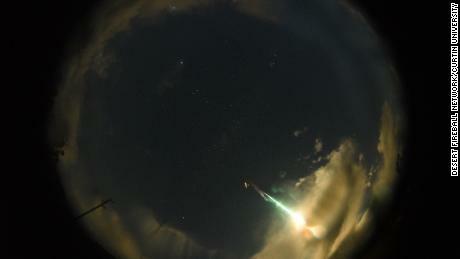 The other two main types of the asteroid are the metallic S and M-types, according to NASA. Despite years of planning, Ryugu's diamond shape took the team by surprise as the mission neared the asteroid. "From a distance, Ryugu initially appeared round, then gradually turned into a square before becoming a beautiful shape similar to fluorite -- known as the 'firefly stone' in Japanese," the space agency said in a statement. "This form of Ryugu is scientifically surprising, and also poses a few engineering challenges," it said of difficulties, including landing, on the unusually shaped asteroid. That said, the team has already achieved a mighty feat by reaching the 900-meter-wide rock at all -- something it described as the equivalent of hitting a 6-centimeter (2.4-inch) target at 20,000 kilometers (12,400 miles) away. 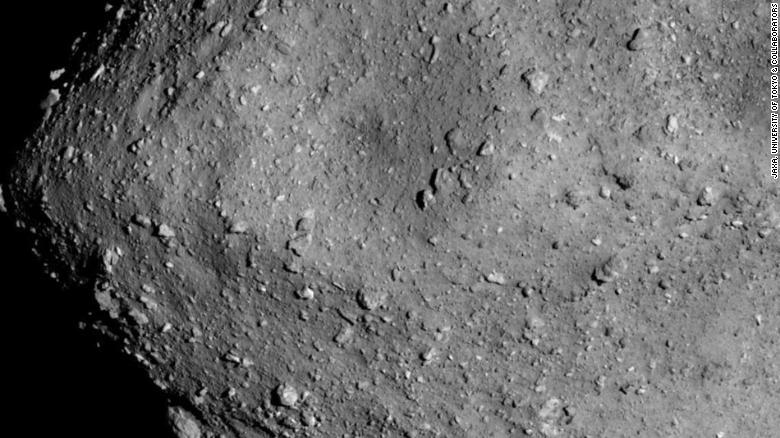 "In other words, arriving at Ryugu is the same as aiming at a 6-centimeter target in Brazil from Japan," the agency said.